This is my 300-word reflection on the ALIA Social Media Launch. 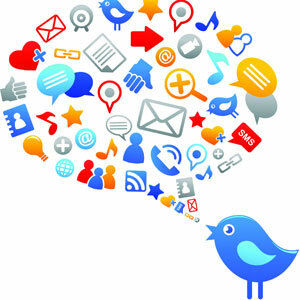 ALIA Social Media is the new Twitter and Facebook site for ALIA to discuss latest news on social media in libraries. The Launch was held on the 23 May 2013 at the RMIT Library Research Lounge Melbourne. The RMIT Library Research Lounge is a great place to hold functions like this. It allows you to provide wine, food, and a nice area for people to network with others in the same area of interest. This week was ALIA Library and Information Week so the head of ALIA Victoria talked about the different events that are being held in Victoria during this week. We also learnt about the history of why ALIA Social Media was developed. The organisers felt that the roles of social media in libraries are changing and librarians need to have a place to enable discussion on this topic. I learnt so much from the two guest speakers about the role of social media in libraries. The first speaker David Honeybone set up the Melbourne University Twitter Account. David talk was “If libraries use Twitter does anyone follow them’. David talk also discussed the benefits of Twitter over Facebook for Libraries. Twitter is a quick and instant tool for libraries whereas Facebook is more static. From this presentation, I learnt about the importance of the way your present yourself on the site in other words your VOICE. I also learnt about the following tools Bitly, Summizer, Summify, and Buffer. The second speaker was Felicity Gilbert who was so passionate about her topic. Felicity made a point that Social Media is not a trend and it has been around for a long time. It allows libraries to form communities online around areas that interest their clients. Another great point Felicity made was that we need the physical library but we should use social media to provide a new service for online clients that are international, national, and state based. Felicity got m thinking about what makes social media so popular and I agree with her it is not the technology, but what we can do with it. I also learnt about the following Pinterest, Edx, Coursera, Udemy, and Academic Earth. David and Felicity both agree that we should have more librarians in libraries dedicated to Twitter, Pinterest and Facebook etc. In regards to networking I found out about ALIA New Graduates Melbourne. I am very pleased that I attended this function. I learnt so much about, Twitter and social media in libraries. It also provided me with a good opportunity to increase my networks.